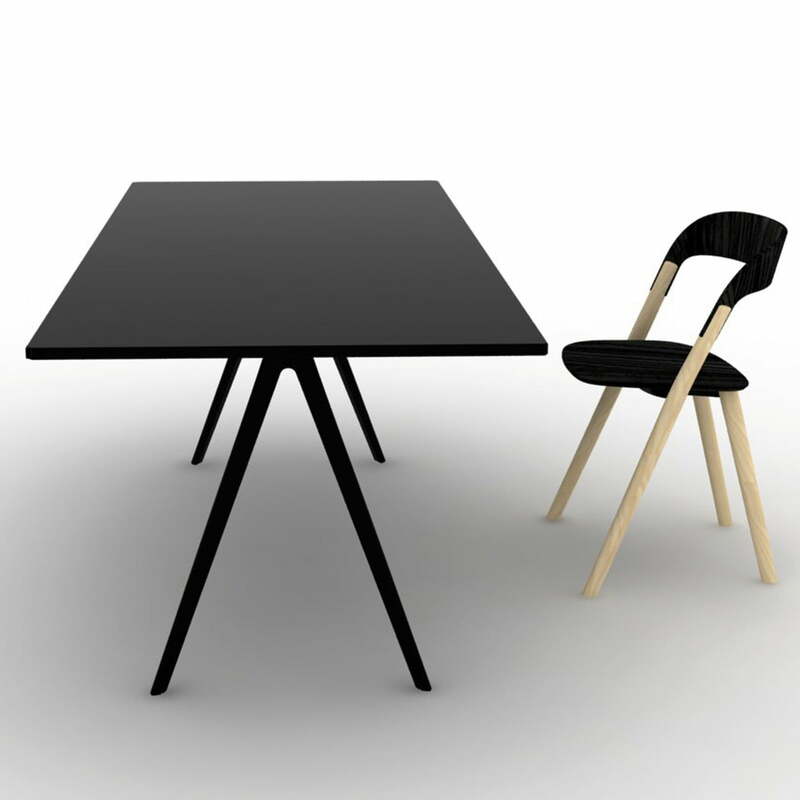 Who only thinks of something eatable by the word Baguette, will learn better with the eponymous piece of furniture by the design brothers Ronan & Erwan Bouroullec. The baguette table is perfectly suitable as dining table – its name however, leads to a different direction: its filigree form, and not its function. Baguette can have many meanings out of the French language: besides a white bar of bread, Baguette can also be a rod, a whip, a tact rod, capping strips and many other slim things. The intention of the brothers Ronan & Erwan Bouroullec was to design an aluminium table frame but to consume as little aluminium as possible for this – therefrom the graceful shape of the frame. The effect is not only its appearance, but much more a graphic feature, because it appears as if massive table boards of four smooth (eating-)bars were supporting it. 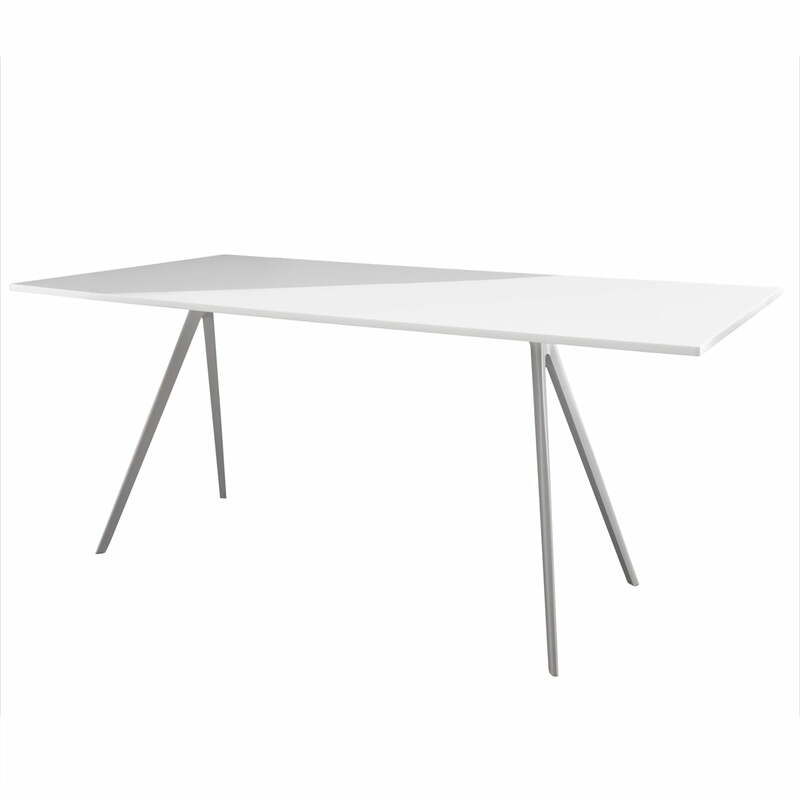 Moreover converging feet in a triangle and the rectangular table top follow a strict, geometric shaping. 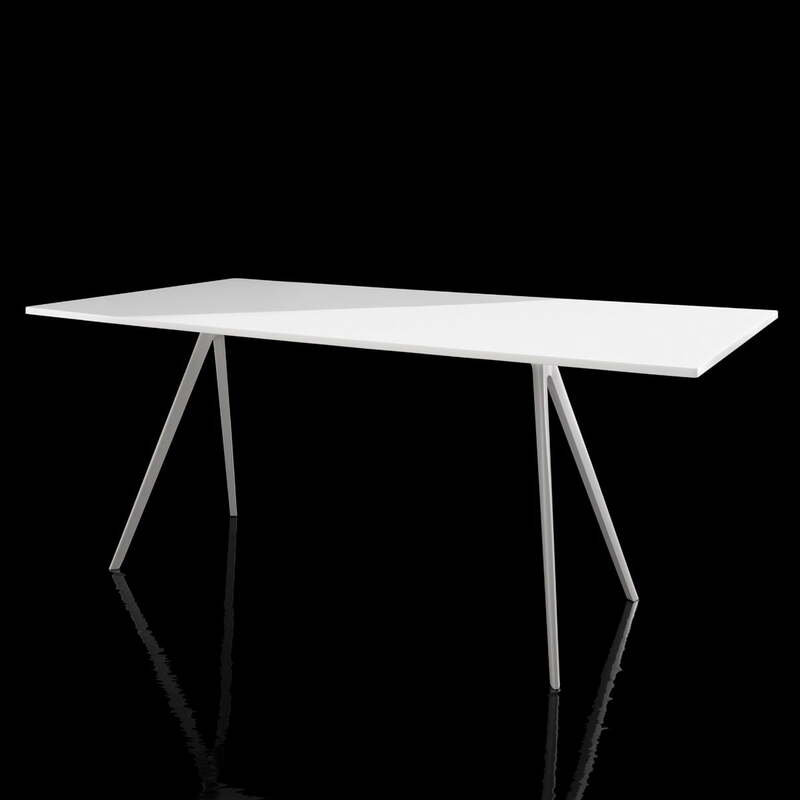 The Italian company Magis produces the Baguette table in two sizes (table top length: 160 cm or 205 cm). 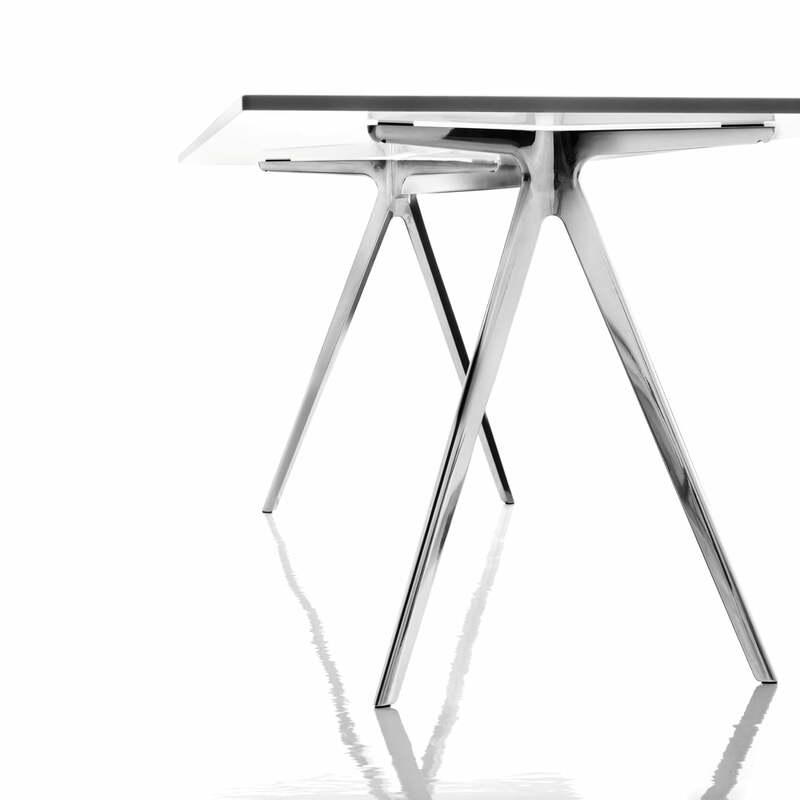 The table feet consist of aluminium, the traverse out of profile aluminium. The frames are available in glossy polished or white / black lacquered editions. 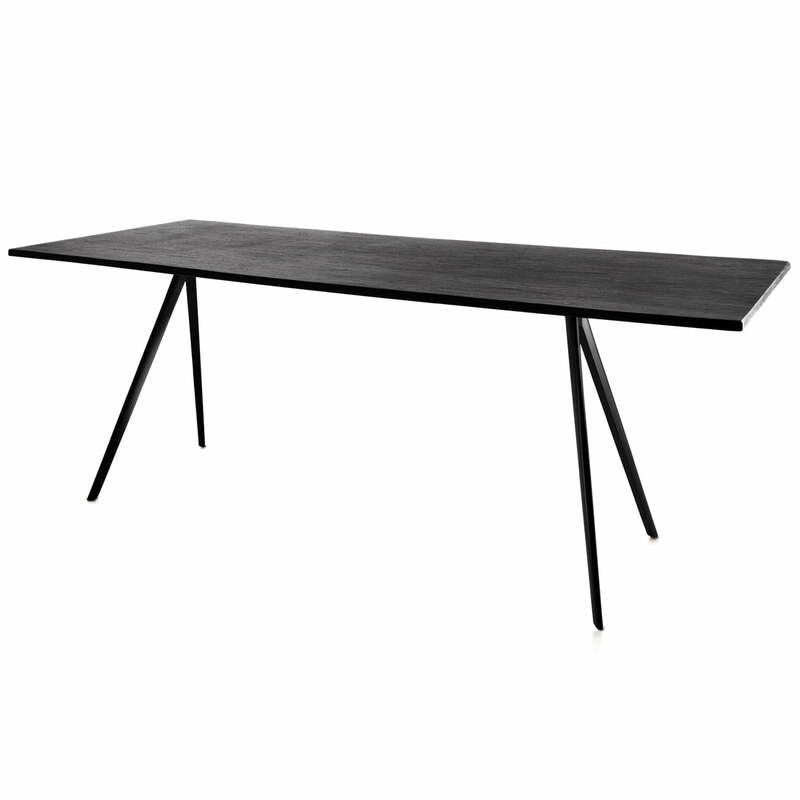 This last one can also be used outdoors with the according table top. 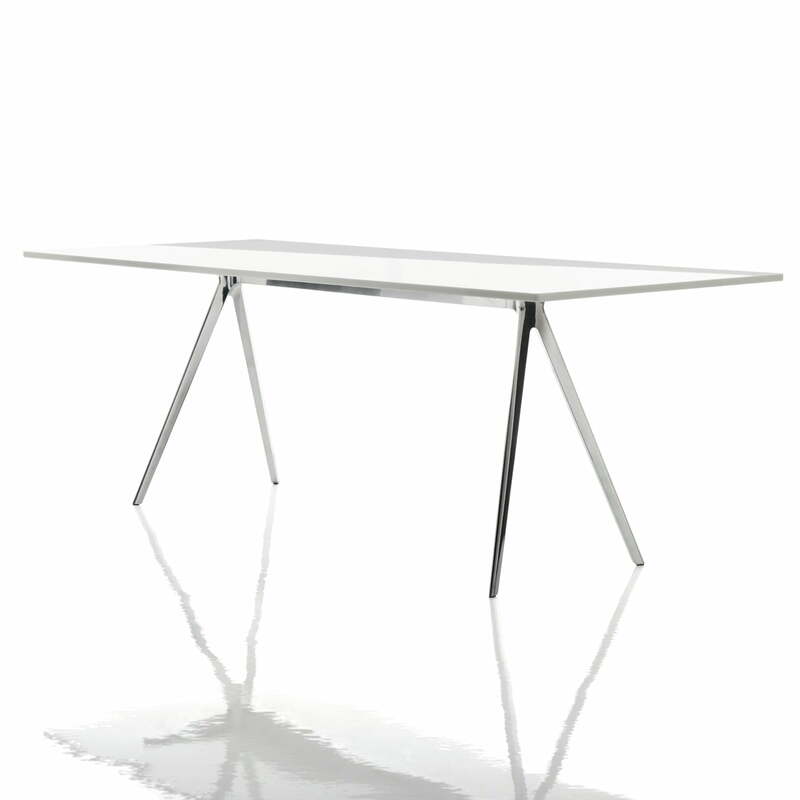 Also the materials the tables are made of are exclusive: from less expensive MDF board (white of black lacquered), over glass tops (white dyed through) up to noble table boards out of natural stone (quartzite or Italian slate), Magis offers suitable solutions for every interior.